This weekend thousands of sweaty, eager music fans will ascend on Zilker Park for the Austin City Limits music festival. Unfortunately, I won’t be able to join in on the 3 day fun but I’ll definitely be live streaming it on YouTube. Tonight’s headliner is none other then my favorite band, The Black Keys (sad face). So for today’s Song of the Day I thought I’d share a new track from the boys. 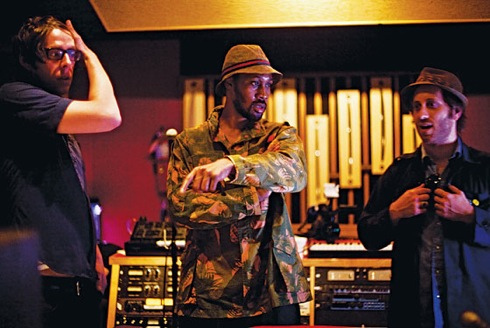 The Keys teamed up with WuTang mastermind, RZA on a killer tune for Quentin Tarantino’s new film The Man with the Iron Fists. Listen, love it…it’s a little bit of hip-hop/blues rock heaven. « The House of Blues & 2012 Dallas Observer Music Awards!